The Warmian Bishops’ Castle is one of the oldest and simultaneously most precious monuments in the city of Lidzbark Warmiński. The Gothic castle complex lies in a picturesque surroundings of the Symsarna and Łyna rivers. Visiting the outer ward with our guide will not only let you become a history expert but it will also give you the passion of exploring the secret those old walls hide from the world around them. These fairytale-like gondola cruises, canoeing trips – our Guests just love these Lidzbark Warmiński attractions. The gondolas can be booked at our hotel reception desk – both families, groups of friends and even companies will enjoy it! Our region is ideal for practicing all forms of the cycle tourism. By using bikes, you can cross large areas and at the same time reach majestic monuments of the nature hidden in the heart of a forest – so precious, so mysterious, yet so modest in their silent fate. You will find there a countless number of little lakes, cozy towns and villages as well as magnificent views of the picturesque fields and meadows situated among the heights and hills. Drinking coffee and admiring the Castle, tasting the delicious grill dishes and wonderful desserts – that’s what you’ll find in the Garden of the Krasicki Hotel Courtyard daily from June until August 12:00 pm – 8:00 pm. Yet, do remember that in case of bad weather, the garden is closed. The library with a reading room and a cafe makes you forget about the nervously ticking clock and gives the opportunity to broaden your intellectual horizons as well! Krasicki loved relaxation dearly. He adored spending his spare time, playing as his heart dictated him to do. Our 10 treatment parlours in the hotel vault, at the feet of St. Catherine’s statue, give you the sweetest oblivion of them all, taking care not only of the mortal body but also of the immortal soul. We take care of every single, even the tiniest detail. The Wellness Centre is a zone of soothing baths and physical activity. At your disposal there is a stylish grand pool, apart from that you can also enjoy our Jacuzzi and sauna complex with the classic sauna, caldarium and infrared sauna. The hotel guests are invited to the wellness zone free of charge. The parish was established probably already in the 13th century. The first parish priest was father Heynemann, acting in the years 1305 - 1321. In 1315 there was a wooden church consecrated, in the middle of the 14th century another church was built – standing until now. The surroundings allow you to get deeper into the magical atmosphere of the regions. All the monuments of Warmia and Masuria, especially the Summer Bishop’s Garden do draw attention. The city used to be surrounded by three walls, only one of which has survived, namely the High Gate (Brama Wysoka). While driving in the maze of short streets of the Lidzbark City Centre must realize that this is a consequence of the typical medieval streets arrangement. When looking at the plan, you can see some deviations from the norm. Historians explain it has been forced by the specific topography of the narrowed and falling terrain bend of the Łyna river. The red Kopernikowski Trail runs through the historic lands of Warmia, rich in the cultural legacy of the local towns. On the trail we can explore many historical churches and roadside shrines as well as nature reserves. These excursions are easy to organize due to the good bus and railway communication as well as the accommodation base in the larger towns and cities. This is the longest trail in the voivodship. This long-distance hiking trail involves some of the gothic castles of the Warmia and Masuria, Powiśle and Kashubia included in the Association of Polish Gothic Castles. Among twelve objects there are bishops’, capitulars’ and the Teutonic Order castles. The marked out walking trail „Napoleon” runs through two provinces, namely through Pomerania where it starts (Kwidzyn city) and Warmia-Masuria (the part Kamieniec-Iława). When walking along the trail, you shall have the chance to admire the large Baroque palace of the Finckenstein family, built in the 18th century. From 1 April – 6 June 1807 Napoleon resided here. Now the palace falls into decline, the sad fate of the building had started with the fire in 1945. Another attraction is the wildlife reserve Czerwica, located in the Landscape Park of the Pojezierze Iławskie region where since 1934 a colony of cormorants and grey herons has been living. 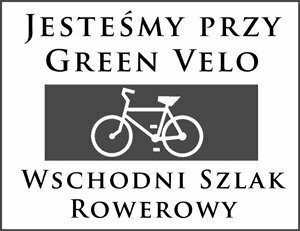 The trail is a closed loop that begins before the centre “Świteź” in Kłębowo. The nature trail leads in over 70% through dirt roads, and a half of the route goes through woodlands. Our trail leads you via the highest located point of all the municipal routes - almost 160 m above sea level (it’s the division of the GSM tower in Miłogórze). The trail is a proposal for those of you who’d like to get to know the southern area of Lidzbark Warmiński. The route is rather easy, leading mainly through asphalt roads (dirt roads constitute barely 16%). You will find here a charming village called Kochanówka with a grand church and a chapel as well as two lakes. The end of the route leads along the meandering bed of the Symsarna river. The trip goes through moraine hills which makes the excursion even more spectacular, providing the tourists with exceptionally beautiful views. The trail leads mostly through asphalt roads (approximately 60%), the remaining part of the trip are unpaved roads of hard surfaces and the concrete, therefore, it is easily passable even for beginner cyclists. The route goes mainly among fields, presenting agricultural areas, forests are 10% of the route. You will find here several monuments and viewpoints. Recurring event organized on the premises of the Krasicki Hotel each June. All fans of the Jazz music should definitely visit Lidzbark Warmiński this summer to enjoy the 4th edition of the Lidzbark Jazz Evenings. One of the attractions here is a series of concerts on an open stage located on the promenade in the centre of the Lidzbark Warmiński city. The Varmia Musica Academia (formerly: International Summer School of Old Music in Lidzbark Warmiński) runs music workshops, preparing participants to perform various forms of instrumental as well as vocal and instrumental music (mainly 17th, 18th and 19th century. They are addressed mainly to students or graduates of music universities, music schools as well as to professional musicians who want to expand their knowledge and acquire new skills in the area of music from the previous eras. Tutaj wszystko się zaczęło… Lidzbarskie Wieczory (do roku 2002 Biesiady) Humoru i Satyry odbywają się od roku 1976 na cześć poety i biskupa warmińskiego Ignacego Krasickiego, który właśnie w Lidzbarku Warmińskim mieszkał i tworzył przez 29 lat.